FYE has officially announced their ‘NYCC Exclusives’ and signings they have lined up for their booth [#622]. 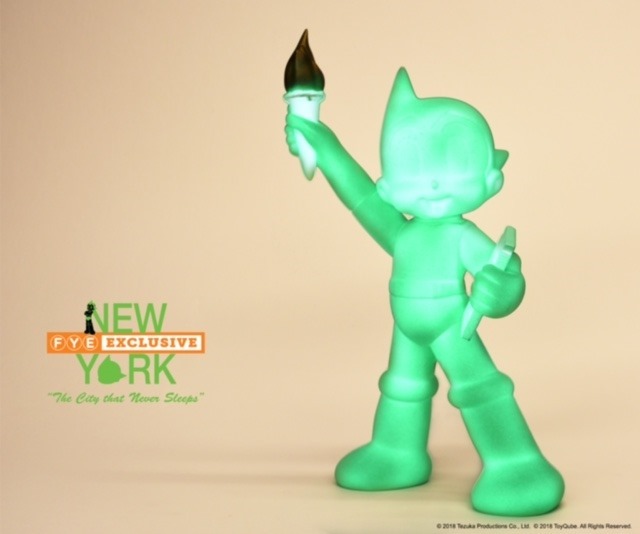 In addition to the previously mentioned Exclusive Astroboy GID (10”, $129) from ToyQube, FYE will also debut two exclusive XXRAY figures from Jason Freeny and Mighty Jaxx. 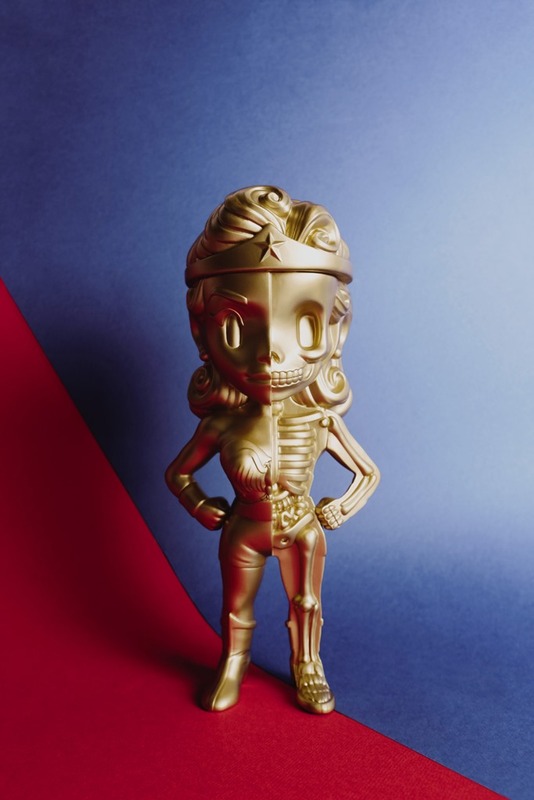 The Gold Wonder Woman XXRAY (10”, $99.99) features an all-gold homage to the quintessential female super hero. 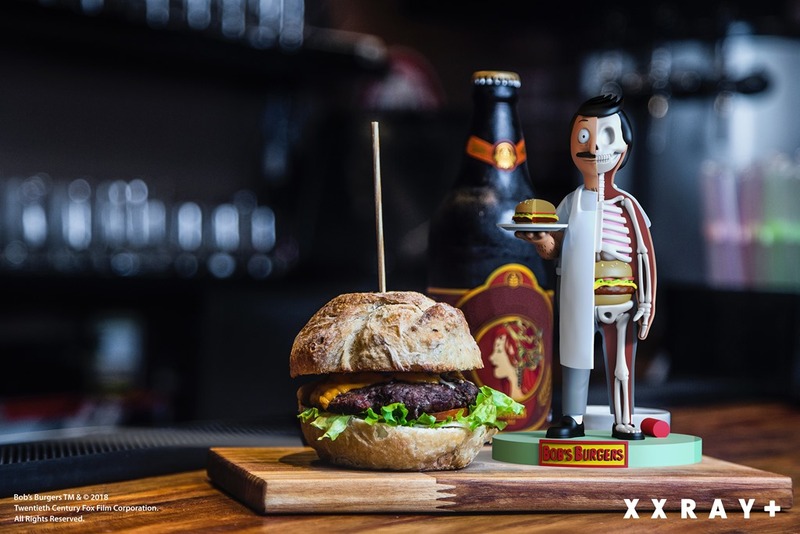 Drawn from the popular TV series, the Bob Belcher XXRAY (10”, $99.99) brings us a clever Bob the Butcher design featuring a fun take on anatomy with a cheese burger in lieu of the normal digestive organs. 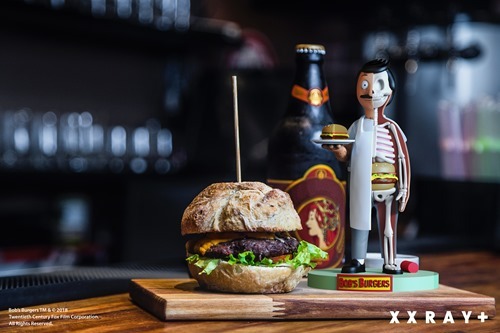 In an extra-credit touch, the burger on the plate also features the cutaway treatment. 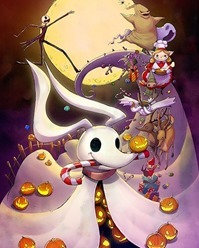 In addition to stock at their NYCC booth, FYE is taking pre-orders for each of the three new exclusives through their online store with a November release window. FYE will also host three signings at their booth [#622]: Ron English (Friday, 5-6 PM) Jason Freeny (Saturday, 2-3 PM), and Camilla D’Errico (11 AM – Noon) who will be on-hand in part to sign her variant cover-edition of The Nightmare Before Christmas: Zero’s Journey manga from Tokypop.